SCVHistory.com | Regional Anthropology | Prehistoric Ceramics of the Southern California Coast | McElhoes 2017. Prehistoric Ceramics of the Southern California Coast. California State University, Long Beach | August 2017. In comparison to other regions of North America, relatively little is known about the late prehistoric populations of southern California. Initial contact between the arrival of European populations resulted in substantial depopulation of native groups (Baker and Kealhoffer 1996). Depopulation occurred years before the area was systematically described. In addition, the region's rapid urbanization during the late nineteenth and early twentieth centuries resulted in substantial loss of the archaeological record. This loss occurred prior to the implementation of federal and state cultural resource laws. This legislation began in the late 1960s and early 1970s with the purpose of enforcing the protection of cultural resources prior to disturbance from construction activities (Sebastian and Lipe 2009). Since the emergence of cultural resource management, some progress has been made in generating comprehensive information about the archaeological record of the region. Over the past 30 years, southern California has witnessed an explosion of projects resulting in thousands of site records and reports across the region, often along with massive stored artifact collections. Despite the abundant documentation, a comprehensive understanding of the region's prehistory has yet to fully emerge. Archaeologists are only beginning to have a robust and comprehensive handle on the chronology of occupation, and currently only have a rough understanding of prehistoric subsistence and settlement patterns in the area over the course of the last 10,000 years. In southern California, prehistoric vessel ceramics are a class of artifacts that remain only partially understood. While fired vessel ceramics are common across most of North America, the Pacific Coast of North America almost entirely lacks populations that produced ceramics during prehistory (Dillon and Boxt 2013). Yet, beginning in the region around Long Beach and areas to the south towards Baja, deposits with vessel ceramics are relatively common (Cameron 1999). The spatial distribution of ceramics is a bit of a puzzle: archaeologists do not yet understand why pottery is generally absent in coastal areas to the north despite the similarity of the environment, shared subsistence practices, common settlement patterns, and evidence that coastal populations interacted with inland populations and communities to the south, in which pottery is relatively common. Exploring this puzzling aspect of southern California prehistory demands detailed investigation and in-depth explanations. Collections produced by cultural resource management firms provide a particularly potent opportunity to investigate the regional aspects of southern California pottery in the archaeological record. Existing collections offer access to extant material that is available for study rather than requiring further excavation and consequent diminishment of the finite archaeological record. My research goals are to generate data from these collections that can be used to evaluate my hypotheses. To accomplish this goal, I systematically compiled known records and surveyed existing collections to characterize the range of deposits that have potential information pertaining to the prehistoric use of pottery. In this thesis, I built a comprehensive database of information for known prehistoric vessel ceramics that have thus far been found. Second, I used these collections to study formal and structural variability in ceramics that are linked to past functional variability and technology. 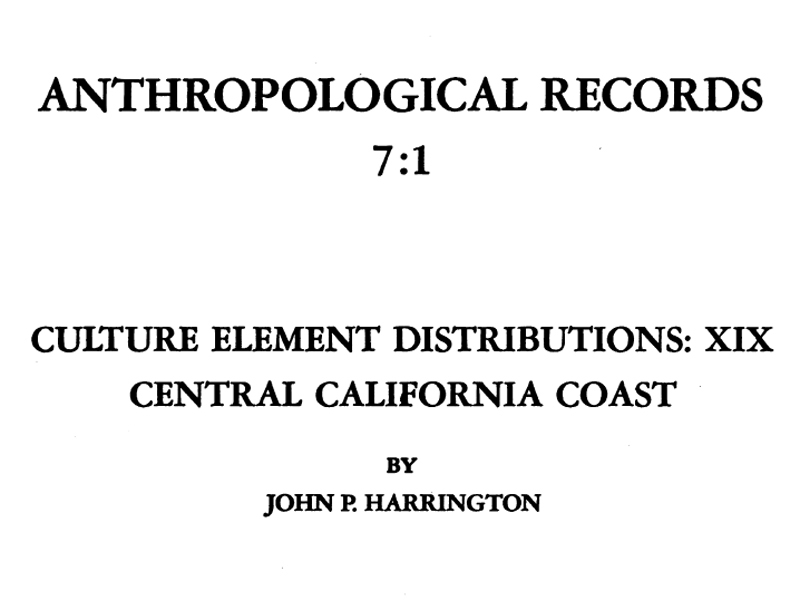 This data gave me the opportunity to perform a systematic and theoretically informed analysis of prehistoric ceramics in the southern California region. Jones 1923: Stockton Mound: Curves, Clay Balls, etc.